“The ‘Bryce situation’ and filling some of the other things that we’re trying to do are independent of each other,” Rizzo said early in the offseason. There are a lot of new pieces to fit together, and Martinez has vowed to put a renewed emphasis on fundamentals during camp. “I already told the guys at the end of last year: Spring training will be a lot different. We’ve got a lot of work to do,” the manager said. 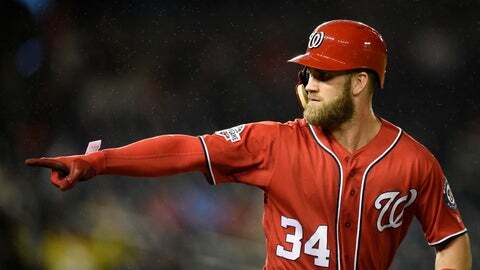 Washington will open the regular season March 28 at home against a revamped division rival, the Mets; it could be an enticing pitching showdown between the teams’ aces, Scherzer and deGrom.